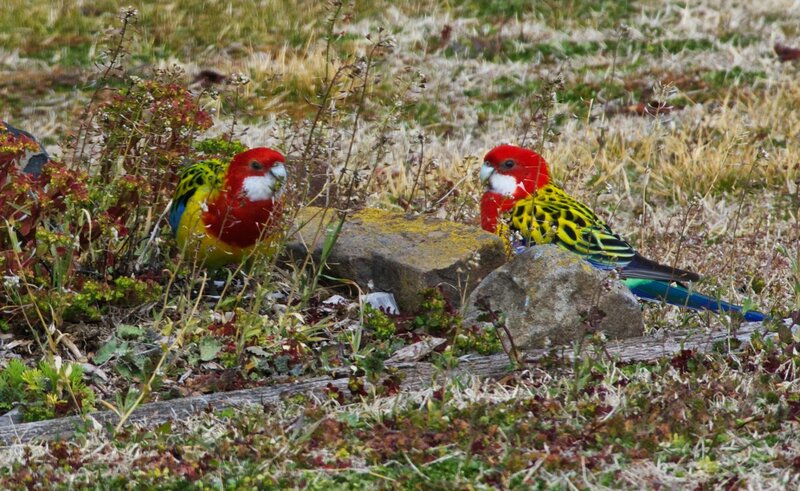 A couple of Eastern Rosellas feeding on the grass seeds with the Crimson Rosellas. This one was a bit more of a struggle with the distance and the glass window. I love the new teleconverter, it gives just that bit longer reach. Nice and colourful and noisy too I bet. Not noisy, too busy eating and it is so cold here the house is closed up. Thanks, mate. We should feed them a bit then they wouldn't fly away at the slightest noise. Well done Trev nice colors. Thanks Cee Cee. Yeah and then I'm out yesterday with the Crimson Rosellas without a window and steady on a post and haven't bothered with the results as they aren't as good as through the window.